Height Zone World 53. My guest this week is DavO, aka David Richardson. 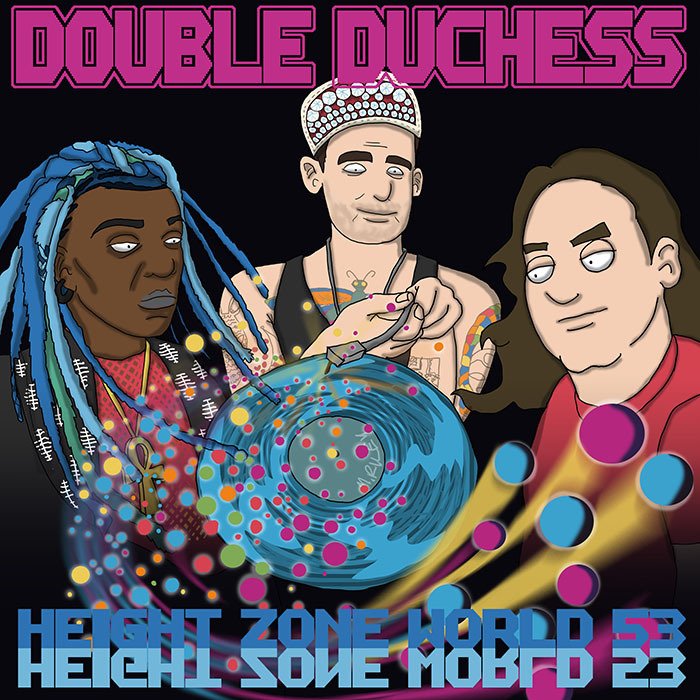 He’s one half of the hip-hop duo Double Duchess. We’ve known each other since 2000, and I was excited to get the full story on his music journey. We talk about his early days as a rapper/drummer in Annapolis, MD, and his struggle to find his identity as a lyricist. He tells me about moving to the west coast, and how Double Duchess was spawned from a DJ night he put together in San Francisco. We talk about their debut album Hey Girl!, and the darker territory they’ve covered on their two most recent albums. Mike Riley’s art this week is an homage to Main Source’s Breaking Atoms. This episode is hosted splicetoday.com. Posted on August 12, 2015 by height keech	Bookmark the permalink.